Practice being in the present moment. "Where am I? Here I am." Leave [it] better than i found it. Day 10 - Prepped chicken noodle soup so that I'd have an easy, hot meal when i got home from work. 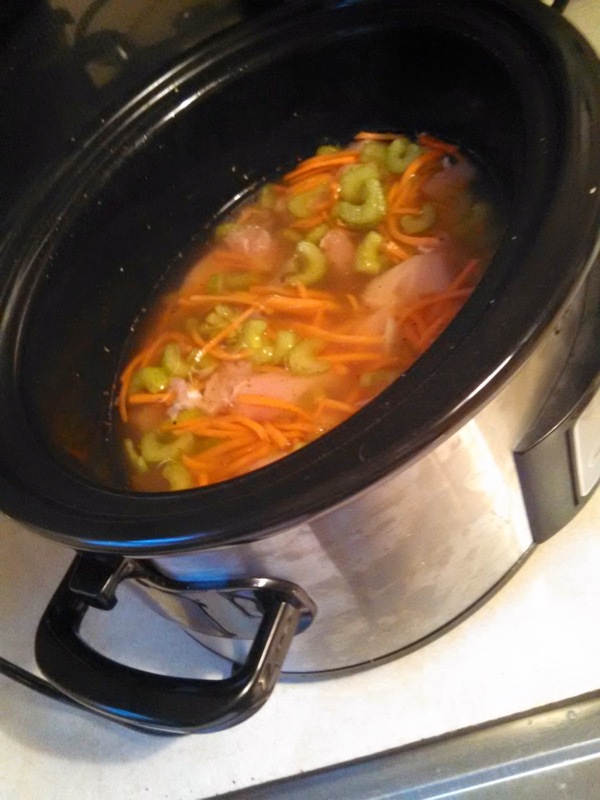 Add chunks of chicken breasts, celery, carrots, chicken broth, salt and pepper, and whatever else you'd like. Cook on low for at least 8 hours. Cook noodles separately and add just before serving.